If you're looking for a fantastic family road trip vehicle, look no further than the 2018 Ford Expedition! I am a BIG fan of road trips. I didn't travel growing up, so in my adult years, I've tried to find ways to experience it for myself, while also giving that to my kids. 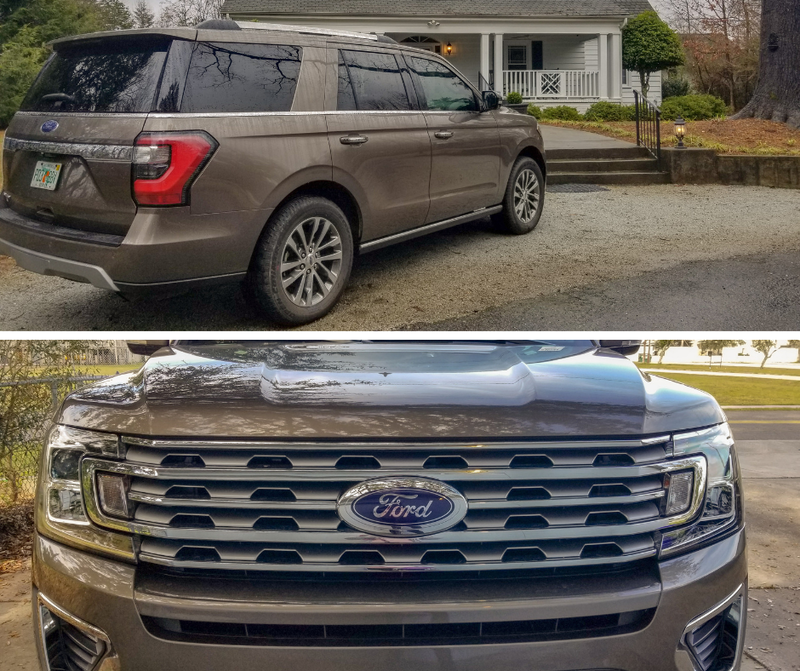 We love experiencing the southern states as much as possible and the Ford Expedition is more than capable of keeping a family happy on any kind of drive! Which is why I am here now.. To tell you about one of THE. BEST. vehicles I have used for a family road trip! Let me tell you all about it. 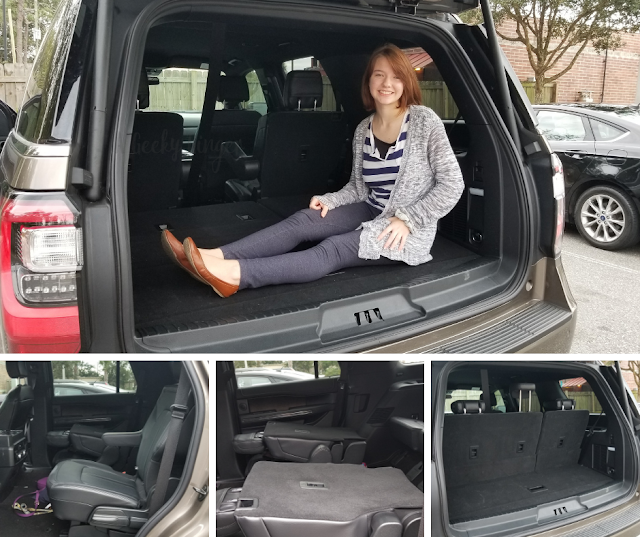 There's plenty of space in the Ford Expedition. We happened to decide to do this road trip with 7 people -- 3 adults and 4 children. That includes 3 convertible car seats! Needless to say, we took up a lot of room, but I'll tell ya what - it worked amazingly well! We had every seat filled with a person, a small cooler, two bags of food, a small backpack, a 24 pack of water, some toys, and a purse. That's just what we had up front with us. That's not even mentioning the trunk filled with our actual luggage. Ford knows how to create some space for people. They must really understand that parent life, am I right? The Ford Expedition provides safety options. With perks like these, I felt so much safer driving through the mountains of North Carolina and Downtown Greenville, SC! This is one tech-savvy vehicle. Two words: Wi-Fi Hotspot. (Or is that three words?) That alone can make a world of difference on a road trip, especially when it's a special needs filled trip! 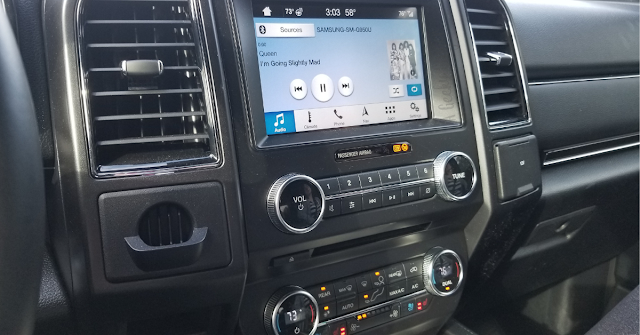 The Ford Expedition has Wi-Fi Hotspot compatibility, a pair of USB ports for each row of seats, an AC adapter (Yay for mamas who need to pump! ), touch screen, Sync for your phone, and so much more. PLUS if you download the Ford app, you can sync up your car and start the vehicle FROM YOUR PHONE. Uhhh... hello to not jumping into a freezing/hot car! This was probably my favorite thing, to be honest. 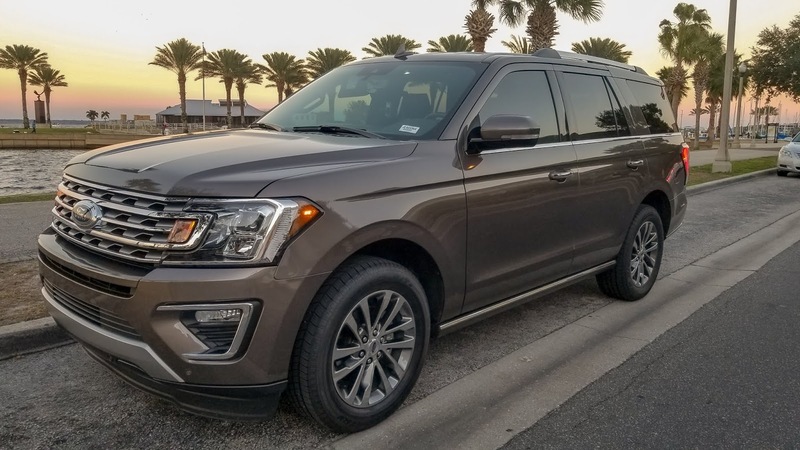 You'll travel in style and comfort with the Ford Expedition. Is that two reasons? I don't care.. Comfort and style, my friends! Leather seats (with warming or cooling option). Incredible sound system. Platinum trim. Auto-adjusting seat and steering wheel. Dual and rear control of AC/heat. There's just so much feel-good about this Ford. Seriously. You'll get great gas mileage with this vehicle. Last, but never least, great gas mileage! Now, being a SUV, you're not going to get some crazy 53 miles to the gallon. However, for a beast of a vehicle in size, it's still pretty great! Highway miles are averaged at 24 miles per gallon. With a large sized tank, I'm getting over 500 miles to the tank. That means FEWSTOPS on road trips, my friend! I was able to drive almost my entire trip up to South Carolina on ONE TANK. That is nothing to sneeze at. The Ford Expedition offers everything you could need for a fantastic family road trip. 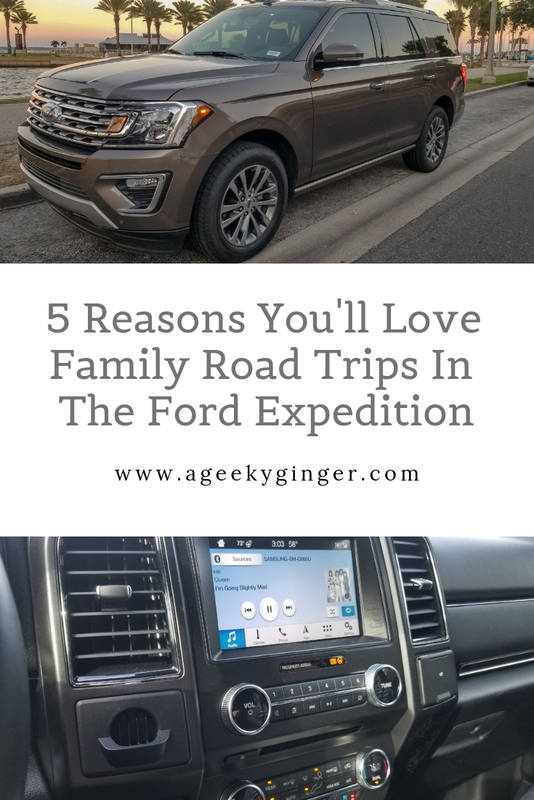 The Expedition made our family trip so much easier! I love road trips. The extra space and all the tech would definitely be a plus. Our current car isn't big, so we always have to cram in and take breaks just to stretch. This looks like such a spacious car! I love road trips but hate them if we dont have enough space! What an awesome collaboration! The Ford Expedition is such a great vehicle. I am looking for a new SUV come this summer...this is definitely one to keep in mind! Thanks for such an awesome review. That is really nice. I don't have a really big family but we are all tall so this would make it comfortable. This looks like a great car to have. I love all of the features. I might consider this if we decide to upgrade our SUV.